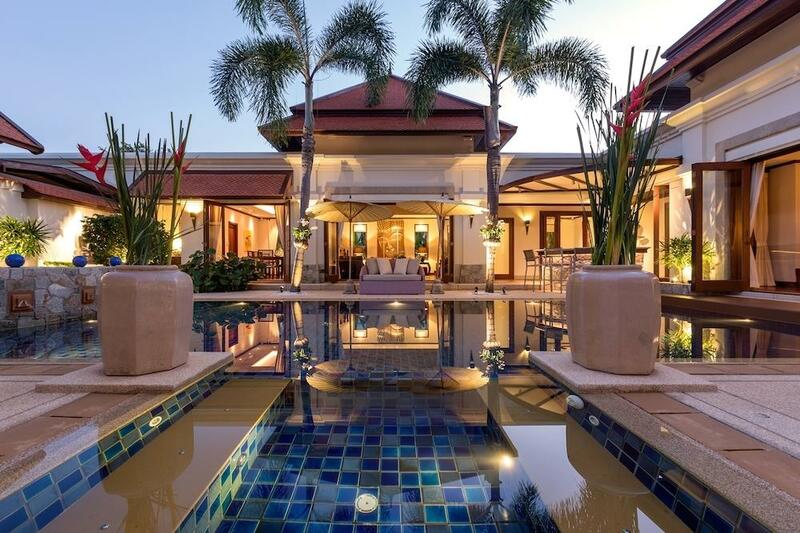 This well-appointed villa is located in a secluded residential complex close by to Layan Beach and offers luxury, comfort and security in tropical landscaped grounds centred around a stunning 20-metre long swimming pool. 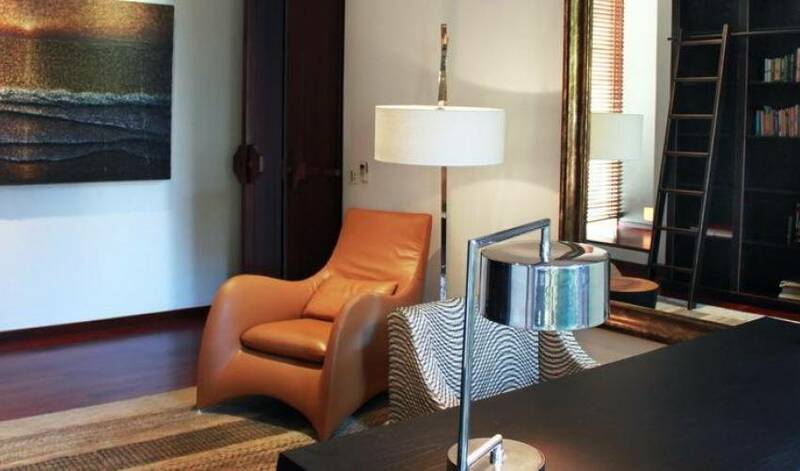 There are five comfortably appointed bedrooms each with ensuites. 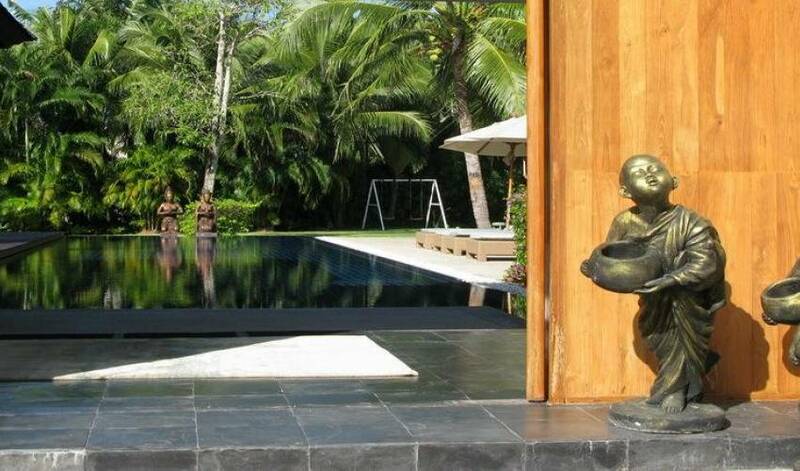 The master is set on the upper level overlooking the pool and garden while one of the children’s rooms has access to the deck and pool area. 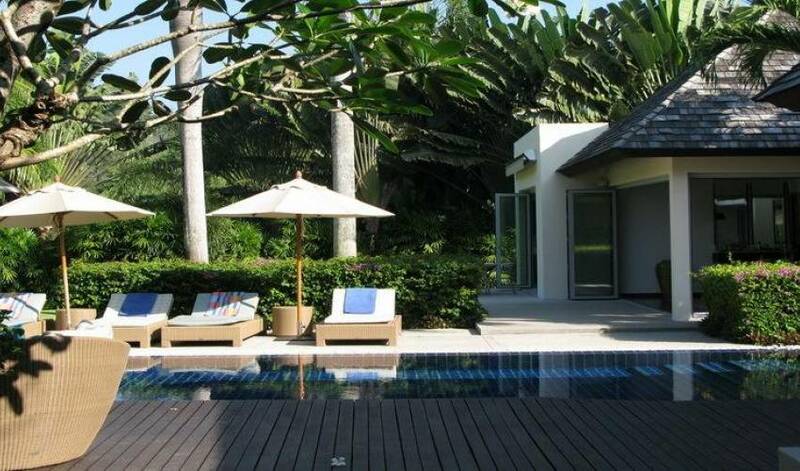 This family-friendly villa comes with a TV/playroom for children and an office with wifi available throughout the villa. The fully equipped modern kitchen opens into the garden with a breakfast bar seating for four and additional table setting in the outdoor garden patio. 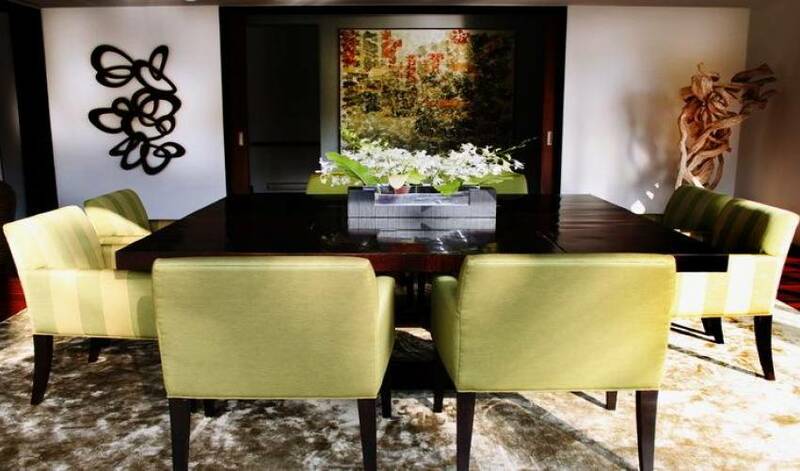 The dining and living areas are spacious and airy taking advantage of the natural light and creating an easy indoor/outdoor flow with folding glass doors opening directly onto the pool terrace. 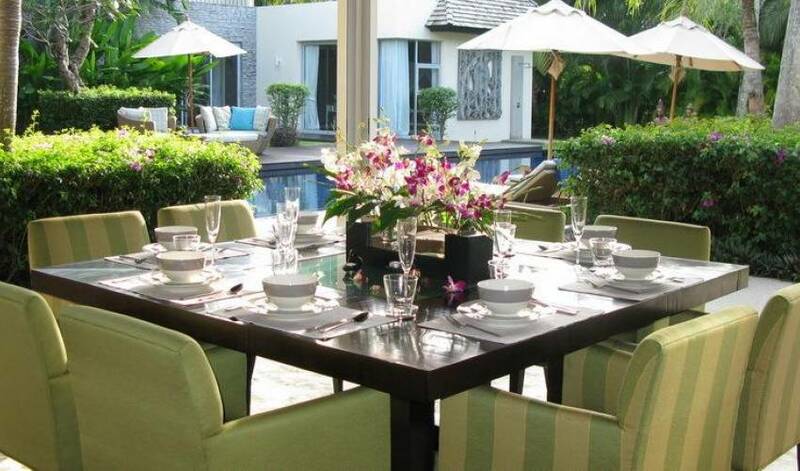 With a villa manager, chef, maid and concierge service on hand, all your needs will be taken care of professionally and personally with a touch of Thai hospitality. 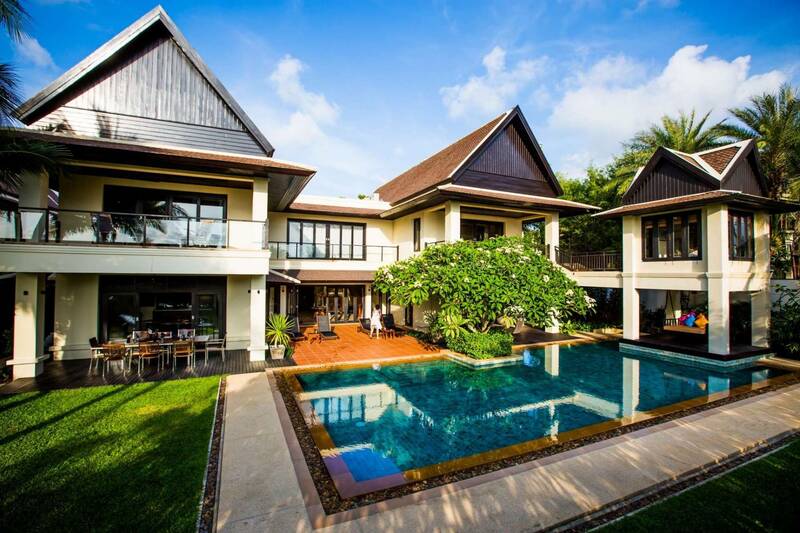 This villa is located in the exclusive private Layan Estate, 25 minutes drive from Phuket International Airport in a peaceful area only 10 minutes walk away from the stunning Layan Beach which joins Bangtao Beach. 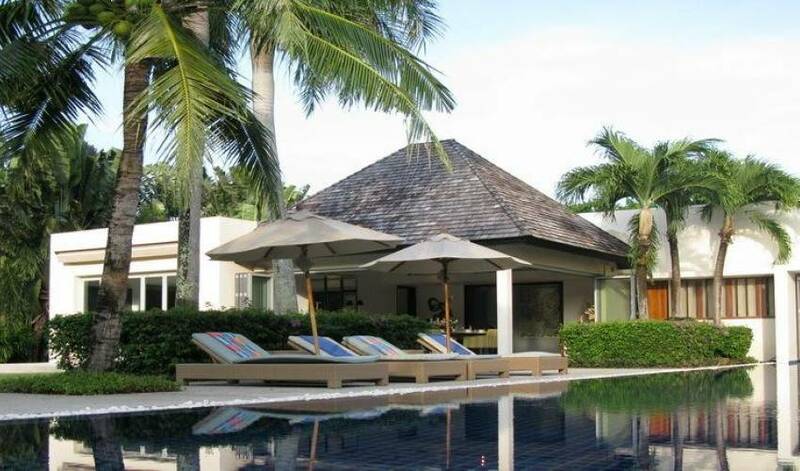 Just 2 kilometres away from the Banyan Tree Spa, Laguna Golf Club and a wonderful range of dining and shopping choices in and around the Laguna resort complex on Bangtao Beach. 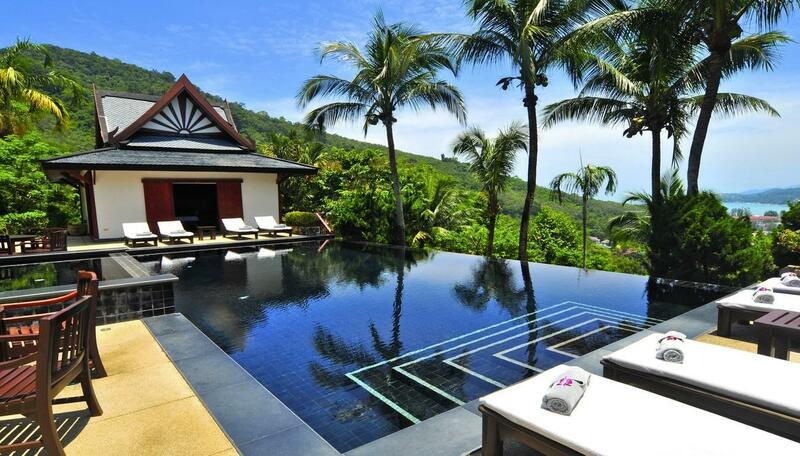 Surin and Kamala Beach are great areas for relaxation and great dining. Shopping centres, nightlife entertainment, international hospitals and other leisure facilities are all found within a 20 - 30-minute drive.